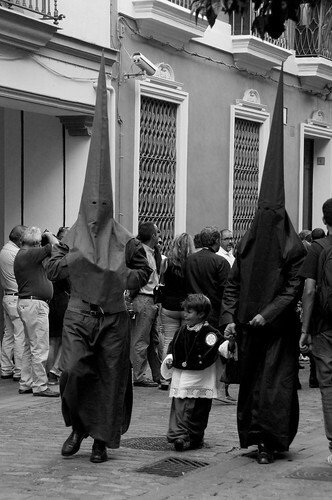 Semana Santa or Holy Week is a week long celebration leading to lent. 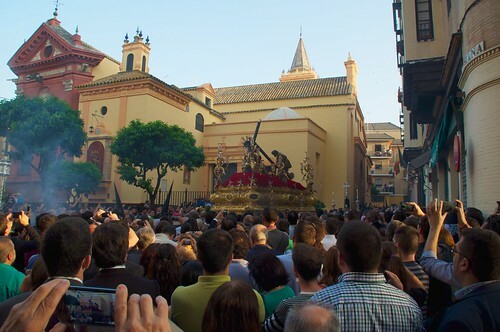 This year Semana Santa starts from 19th March to 6th of April. 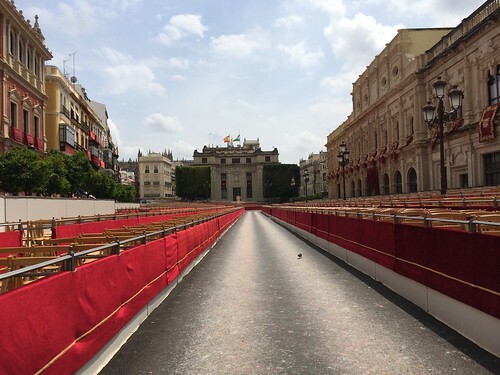 Although Semana Santa occurs all over Spain, Seville’s Semana Santa is arguably the most famous. There are over 55 brotherhood all over the cities with fraternities dating back to the 13th century. Throughout the week multiple processions takes place starting from various churches all around the cities carrying pasos a float depicting a scene from the Passion of Christ. We were lucky enough to be in the right place and time when this particular paso left a church. 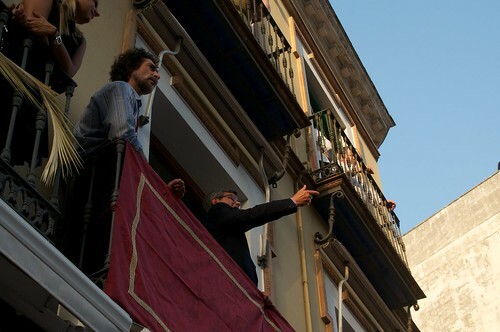 Despite the solemn occasion, ye who have the sharpest elbows are likely to get the best vantage point. Being clueless tourists we didn’t know what to expect. While jostling for a view, we heard the sound of a man singing from a bacony and realised a Saeta was being sung as the procession carried the paso. The crowd went silent as all eyes looked up and solemnity hanged in the air like a silent bell reverberating from the balcony. It was this mix of festivity and solemnity, old and new that struck me throughout the week. Regardless where you are in the city you see people wearing the pointy capirote. Looking incongruous and ordinary within the city. Seats are sold on either side of the street as men, women and children wearing black take their place drinking wine and eating as they watch the floats go by. To me it felt like mardigras, but religious and black is the colour to wear. And finally, because it is still Lent and autumn is in the air, here’s a heart warming potato and leek recipe from Taste by Dominic Smith. 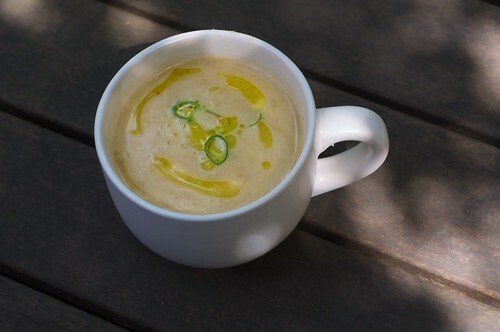 I love the touch of sour cream that gives the soup a kick. Heat oil and butter in a large, heavy-based saucepan over high heat. Add leek and garlic, and cook, stirring occasionally, for 5 minutes or until leek is softened. Add potatoes and cook, stirring occasionally, for a further 5 minutes. Add 1L water to pan and bring to the boil. Reduce heat to low–medium and simmer, stirring occasionally, for 25 minutes or until potatoes are tender. Using a stick blender, blend leek and potato mixture in saucepan until smooth. Season with salt and pepper.